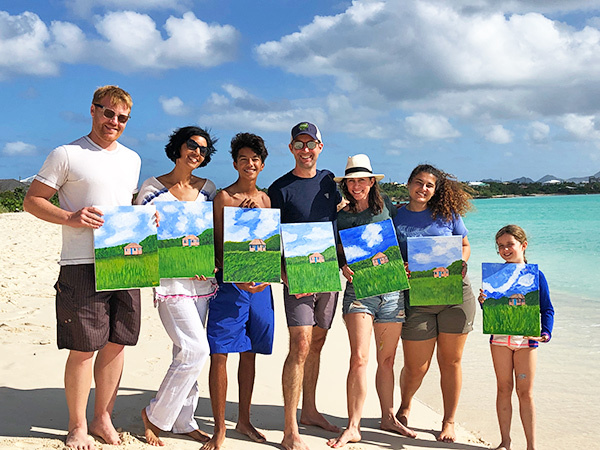 AnguillArts makes for a fabulous way to spend a day at the beach and create your OWN Anguilla keepsake! 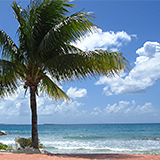 AnguillArts is owned and operated by passionate, self-taught artist Karen Venditti Liddie. Originally from Montreal, Karen relocated to Anguilla in 2006 and has been sharing her love for the arts with all ever since. 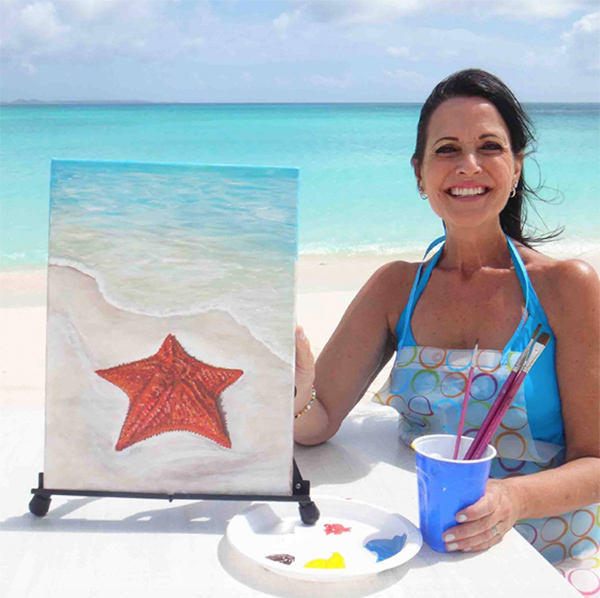 Karen offers two types of painting parties, scheduled parties at beachfront restaurants and private parties. Karen does all of the setting up and provides all of the materials. 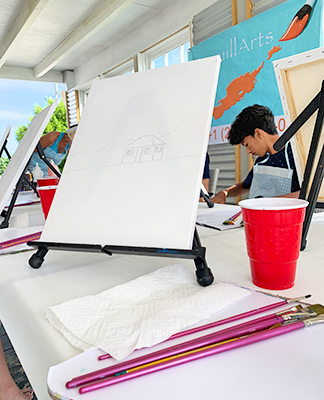 All you have to do is decide on a venue and a painting (if you are doing a private party. 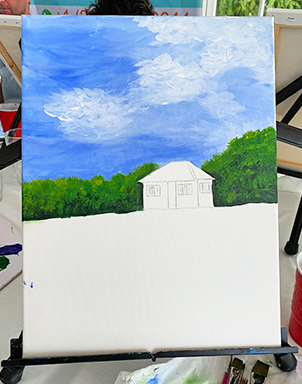 If you are joining a scheduled party - the painting is chosen and posted when you book your spot). We were doing a private party and chose the Pink Cottage in West End. 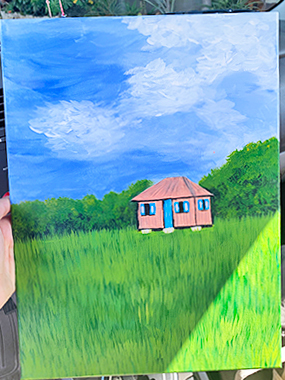 It was difficult to choose from the great paintings that Karen offers, but the Pink West Indian Cottage stole our heart! If you've ever ventured deep into West End, on the way to Trattoria Tramonto, you have seen this petite cottage. 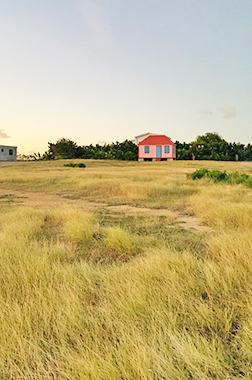 Painted in pretty pinks, reds and blues, surrounded by needle hair grass in shades of green, and with lots of local goats, this cottage is the epitome of Anguilla and Caribbean life. We decided to meet at The Place at 11am, where we could enjoy lunch and Rendezvous Bay after painting. When we arrived, Karen had already set up an entire painting studio for us! Karen had prepared her original painting and a canvas for herself, to show us each step and technique so we could create our own. We all chose our seats and were given aprons and paint. ... by step Karen showed us the uses of each brush, how to mix colors, and apply them to each outlined section of our canvas. She explained how to make the clouds come alive, to give them that special "puff", and how to get a realistic effect on the grass. Not just that, Karen showed us how to create a 3D effect with the house itself! If you are having a tough time with the painting Karen is happy to help out by showing you exactly how it's done. Your own little piece of Anguilla! 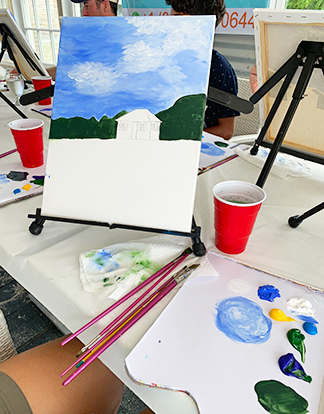 At the end of our painting session, we noticed that three hours had passed. Where had the time gone? It had been three hours of friendly chit-chat to the sound of waves lapping the shore. 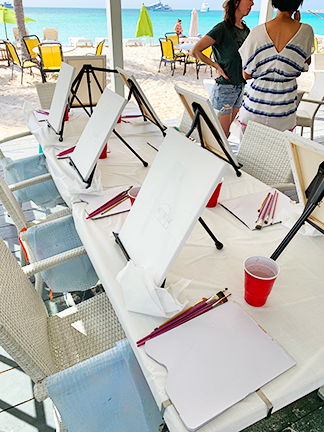 We were totally immersed in the beach paint party. It is truly a wonderfully calm way to spend a day with your family. Karen shows you the way with patience and passion, in the most beautiful seaside settings! 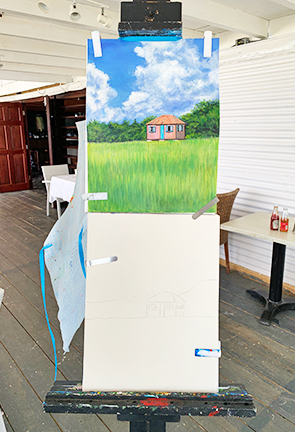 Pre-scheduled painting party events at beachfront restaurants around Anguilla. Keep your eye open for upcoming events listed here. Private parties. To book a private party, click here. 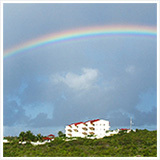 AnguillArts is an Anguilla Card Partner. 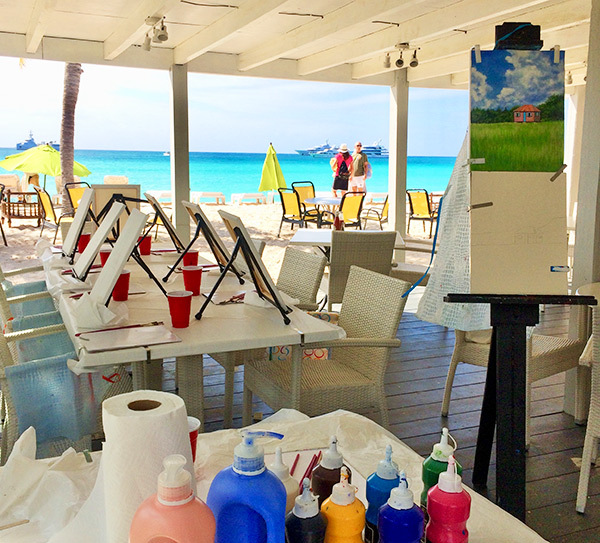 Use your Anguilla Card and save 10% on your paint party!